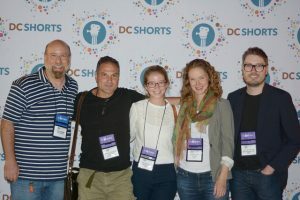 DC Shorts loves to celebrate our filmmakers — and our audience! All parties include light refreshments and a special selection of alcoholic and non-alcoholic beverages. Attendees must be over 21 years of age and present photo ID at the door. Save money by purchasing your tickets online. If you are driving and need a place to park? Use SpotHero! These events are open to the general public. An admission ticket is required. Celebrate DC Short’s Opening Weekend under the stars atop the roof deck at Carroll Square. Enjoy craft cocktails, delish noshes and If dancing is your thing…then dance the night away with dj MIM. 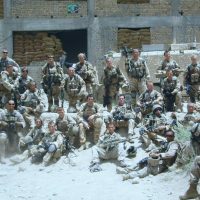 These events are only to All-Access Passholders, Visiting Filmmakers, Screenwriters, and Invited Guests. Don’t miss out – purchase an All Access Pass online or at any festival box office. DC Shorts welcomes our filmmakers and pass holders to our annual DC Shorts Film Festival. Each year we hold an exclusive party just for our passionate go getters and film lovers, featuring cocktails, food, music, a whole lot of fun. Join us for our festival’s awards brunch, where the Jury and Audience awards are announced. Get to know the best of the best from this year’s festival and network with filmmakers from around the world while enjoying complimentary cocktails and food. Winning filmmakers are presented with a glass trophy designed by the Washington Glass School, and showered with prize packages and cash! Join this year’s screenwriters and their guests for an intimate mixer as we look forward to our Screenplay Competition. Join us as we check out actors who will perform their monologue for our screenplay finalist. You can check out the winners at our Screenplay Competition table read!